Burgers are HUGE in Dublin. There are new burger places opening all the time and instead of just creating one blog post about them I think each of them deserve their own posts. The first one I’m going to talk about is Cleaver East. Cleaver East, by Oliver Dunne (He’s also the head chef in Bon Appetit in Malahide which previously held a Michelin star) is in Temple Bar. It does breakfast, lunch, dinner, brunch and ‘Not Afternoon Tea’. 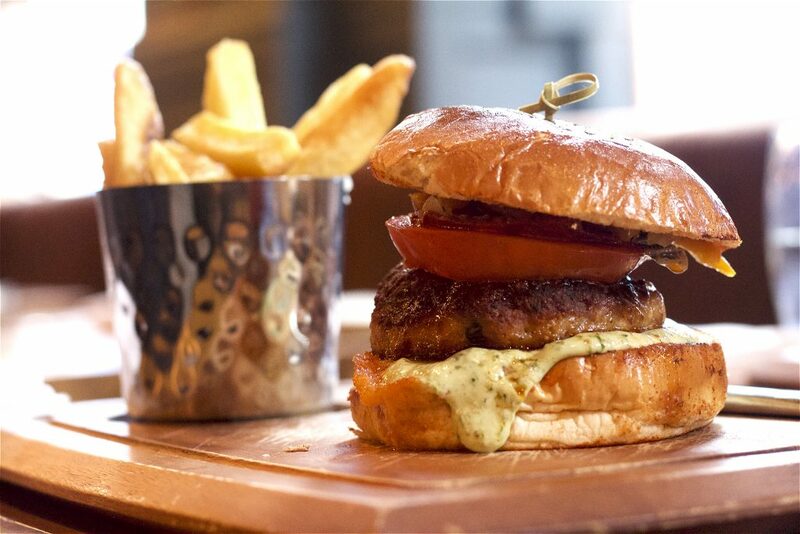 The menus at Cleaver East have dishes which are both Irish and European themed and all ingredients are locally sourced. For Sunday Brunch they offer bottomless cocktails – yeh you read that right Bottomless Cocktails! 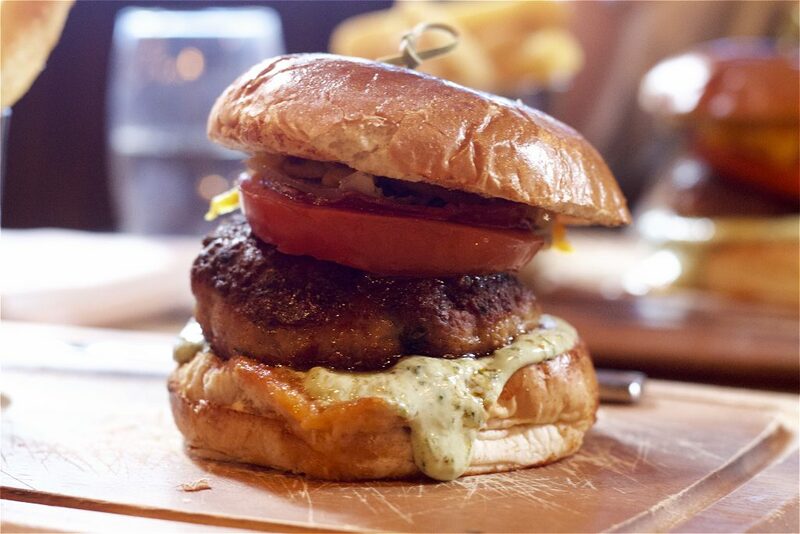 So even if you aren’t into burgers and are looking for brunch in Dublin (or lunch or dinner), you won’t be disappointed with Cleaver East. Every time I go to Cleaver East I say “maybe I won’t get the burger this time” but really I’m just fooling myself. Each month there’s a new #PORNBURGER. This months (February) burger is the #dumblegleeson. Rare Breed Pork and Chorizo Burger, Sweet and Sour Peppers with Manchego Cheese, Cilantro and Garlic Mayo and a Paprika Flavoured Bun. The burgers are always huge and when they come out I wonder “how the hell am I going to get this into my mouth”. I brought my cousin along with me and she had the same reaction when she saw her burger. Since this was my 4th #PORNBURGER I feel like I’ve got eating them down to a fine art so my advice to her was “Just take it apart and eat it like a 2 year old who’s just been given a plastic knife and fork for the first time”. I’m not sure how I managed it but I was able to fit in a dessert as well. 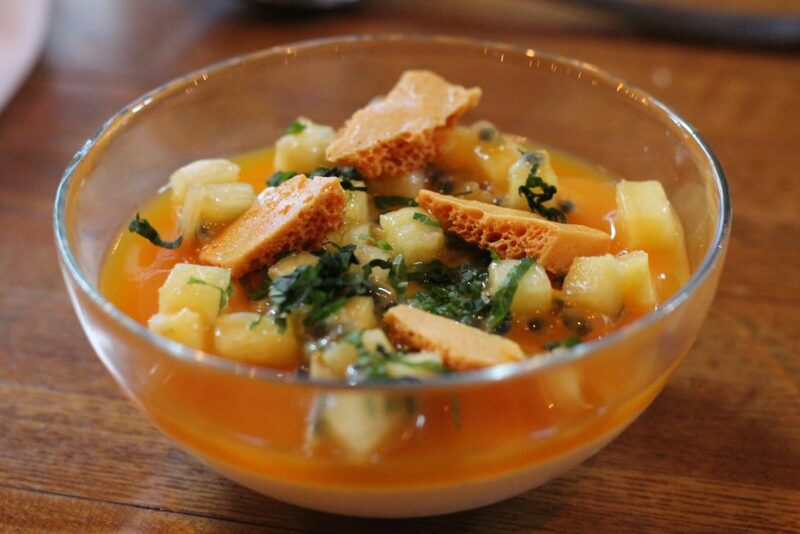 I wanted something fruity so went for the Passionfruit and Cream Panna Cotta with Pineapple, Honeycomb and Mint. Normally I wouldn’t order a panna cotta, the wobble kind of freaks me out but I love passionfruit so gave it a try. It was unreal. I’m now a panna cotta lover. 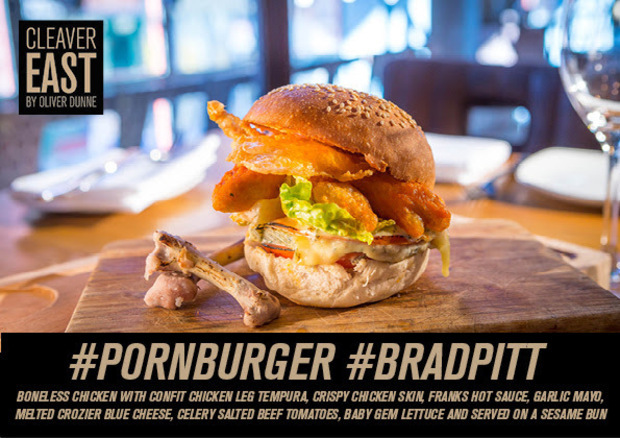 My all time favourite #PORNBURGER is the #BRADPITT. Unfortantly my picture of it looks like it was taken on a Nokia 3210 so here’s the official photo of it.